Mushrif Equestrian and Polo Club (MEC) Dubai provides access to riding lessons, best quality trained horses and dessert riding. It is one among the outsized horse riding centers in Dubai, situated in the Mushrif Park. All through the season the MEC organizes a variety of events but the very best they offer is the “Desert hack,” which is an amazing endurance ride in the vast outback of the Mushrif Park. Mushrif Equestrian and Polo Club put forward some amazingly trained healthy horses and a huge desert park to ride in – so, what more could you want? Mushrif Equestrian and Polo Club Dubai operate daily from 08:00am to 10:00am and 04:00pm to 09:00pm. There is not Metro station in the close proximity of the Mushrif Equestrian and Polo Club Dubai. So, use your private car or get into the local bus to reach the destination. 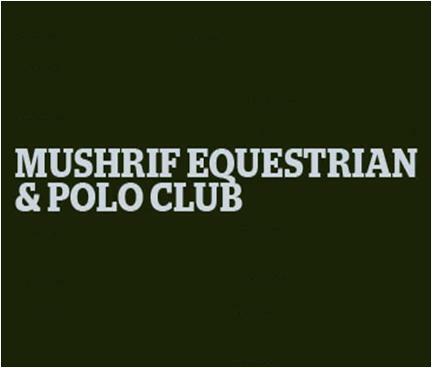 The Mushrif Equestrian and Polo Club Dubai is located inside the Mushrif Park. So, get into a bus No 11A and reach the Mushrif, Park 1 Bus Station, which is the nearest bust station to the park. It is just 2.2 km away from the park, making just 27 minutes passage by walk. Head West from the bus-stop and then take a left turn. Go through a roundabout and take another left turn. Now, take another left turn and take a right turn. after two consecutive left turns, take a right turn and finally a left turn to find your destination right in front of you. View Map.